This whole-person approach to financial literacy, called “Life Economics”, is built to give students the tools to succeed in an economic system that a significant portion of youth is unprepared to navigate. FutureProfits empowers students with the tools to break the chains of poverty, giving them the resources to determine their destiny and impact their community. This website allows you to link directly to the resources that are specified in the FutureProfits curriculum. Each unit is separated into lessons. All links, including videos are UNDERLINED. Evaluations for all units can be downloaded under the evaluation tab. If you stumbled upon our site, or have heard about the curriculum and want to use in with your students, you can purchase a copy HERE. I love the curriculum and how it has impacted so many youth. 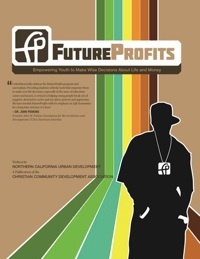 As a Future Profits Facilitator, I’m honored to be a part of the transformation in the bay.